We provide North Vancouver movers. Consider us when booking your North Vancouver move. 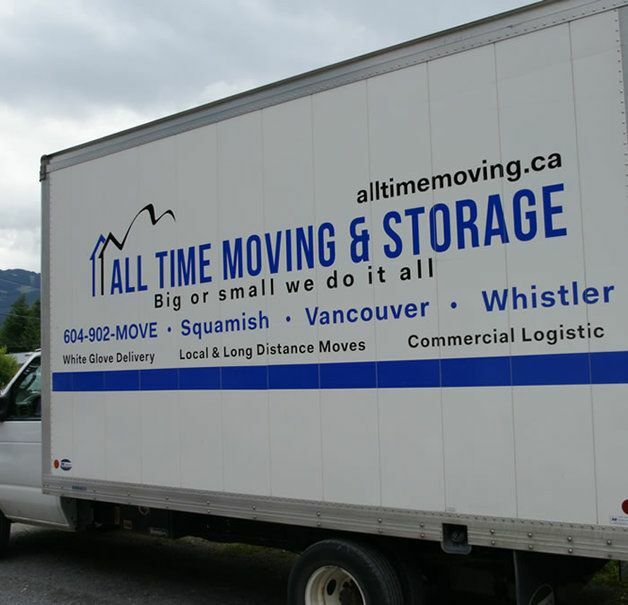 When searcing for moving companies in North Vancouver, consider using us! Our full service professional movers at All Time Moving in North Vancouver are dependable, affordable and exceed our clients expectations. Let us provide you with peace of mind in knowing that your furniture, valuables and household items will arrive in the same condition as they were before we arrived. We offer a variety of moving packages that we can customize to meet your needs and budget. Choose from packing, loading, basic moving, unloading, storage, insurance and more. We are able to differentiate ourselves from the competition and satisfy all of our customers with our wholehearted dedication to customer service, an attribute that has driven our company to success. By sharing our professionalism and passion for customer satisfaction, and industry know-how, we hope you will consider using us for all of your North Vancouver moving needs. Call us today for an estimate on your next move or storage needs. Copyright ©2017 All Time Moving & Storage Ltd. All rights reserved.